Every March, hundreds of thousands of people from all over the world flock to Austin, Texas (USA) to take part in the South by Southwest film, interactive and music festival. SXSW Interactive, which focuses on emerging technology, is a breeding ground for new ideas and cutting edge innovations. With the ever-growing presence of the fashion and tech communities at SXSW Interactive, a new addition to the conference line up is SXStyle, a platform for creatives to come together, innovative and celebrate the industry. Exploring the complex ties between fashion, art, culture and technology, SXstyle features five days of panel discussions, networking opportunities, and evening events touching on topics like wearable tech, 3D printing, innovative design, the future of retail, virtual sizing, and more. Fashion technology is a multi-billion dollar global economy, with high street retailers looking to establish themselves in this burgeoning market. In a panel discussion called The Global Rise of Fashion Technology, leading experts in the field of fashion technology discuss the latest trends primarily in the UK and in Asia, where China alone generated $210 billion in revenue last year. Also among the program highlights, 10 Inventions That Will Revolutionize Retail offers a glimpse of the future of retail by combining social science and data with a splash of science fiction. From holostores and sentient stores to intelligent shelves and biosensor-enabled smart clothing, this session will discuss how to harness the power of innovation in an increasingly globalized, digitized, polarized and personalized world. The idea of offering a personalized, interactive and fully customizable shopping experience is not merely a product of the future, but an emerging trend in the field of fashion technology. 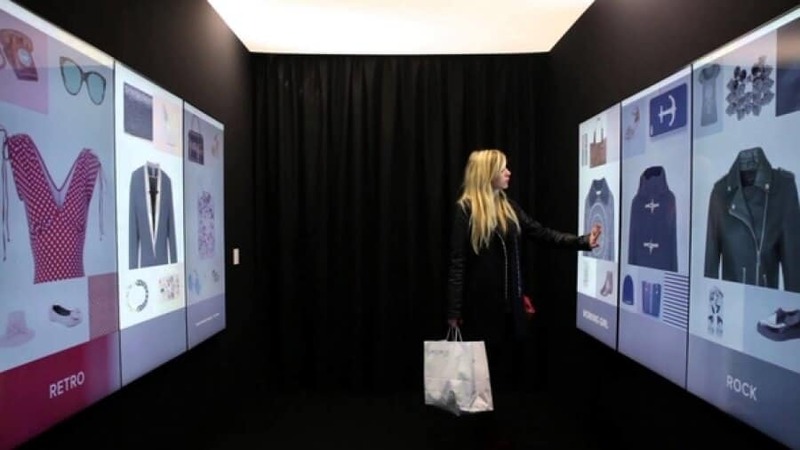 In 2014, French shopping center specialist, Klépierre unveiled the Inspiration Corridor, a booth that uses facial and body recognition to make shopping recommendations. An infra-red Kinect camera analyses individual visitors as they enter the Inspiration Corridor, using body scanning technology. Touchscreens are then populated with personalized purchase suggestions which can be sent to the shopper’s smart phone. After over a century of providing consumers with a one-size-fits-all, mass production retail model, The Next Wave: Mass Customization in Fashion SXstyle session discusses a new movement in the fashion world which uses technology to enable shoppers to custom-design everything from footwear to jeans. New York based Tinker Tailor is among the cutting edge startups that are carving out a space for themselves in the emerging customization industry. Offering customers the opportunity to create custom, one-of-a-kind clothing, Tinker Tailor provides a shopping experience that is personal, interactive and engaging. In the economy of the future, wearables will be as important to the connected home as smartphones are today. With constant new products and devices coming to market, products that blend utility, design, beauty and simplicity will revolutionize the way that we live. Wearable Tech and Design: Cracking Mainstream Trends invites technology, design and fashion experts to discuss how and why wearables will become mainstream and lead the way in this next epoch of the web. As technology gets closer to us, and even becomes part of us, there are new problems of both our emotions and our senses in successful design. Using experience from international workshops and neuroscience research, a session called Emotion and Inclusion in Wearable Tech Design provides an open forum for participants to discover and discuss issues in wearable and new technology as it integrates with people at an intimate and emotional level. While in a session called, En Vogue: Blurring the Line Between Brands and Tech, leading wearable technology and fashion expert, Jennifer Darmour explores the intersection of fashion and technology by examining the role that wearables play in the economy of the future. In a time not too far in the future, drones will be part of our everyday lives and one of the biggest platforms for innovation. With this in mind, we can begin to imagine how drones will interact with us at a very intimate scale by exploring the concept of wearable drones – that is, drones that land and launch from our bodies. Unlike our stationary smart devices that only support us digitally, drones expand the limitations of the human body and support us by performing physical tasks on our behalf. Wearable Drones: High Flying Fashion looks at high-flying fashion drones that seamlessly integrate into our lives. SXstyle programming and events will run from Friday, March 13 – Tuesday March 17 2015 and will take place at the JW Marriott Hotel in Austin, TX. SXStyle programming and events are open to all SXSW Interactive registrants. Click here for more information.